Whitechapel station’s history - Crossrail . For information about the Elizabeth line please visit the Transport for London website. Passenger rail first came to Whitechapel in 1876 when the area served as a stop on the East London Railway (now London Overground). A new station was built adjacent to the old station in 1884 to act as the terminus for the Metropolitan District Railway (now the District Line) - the new station was named Whitechapel & Mile End. Whitechapel began acting as the eastern terminus of the Metropolitan Railway (now the Metropolitan line and the Hammersmith & City line) in 1906. The Whitechapel station we see today, constructed of white glazed brickwork and Suffolk white brick, was rebuilt in 1902 and is one of the oldest underground stations in London. Crossrail will bring the first major changes to the station’s layout in over 100 years. 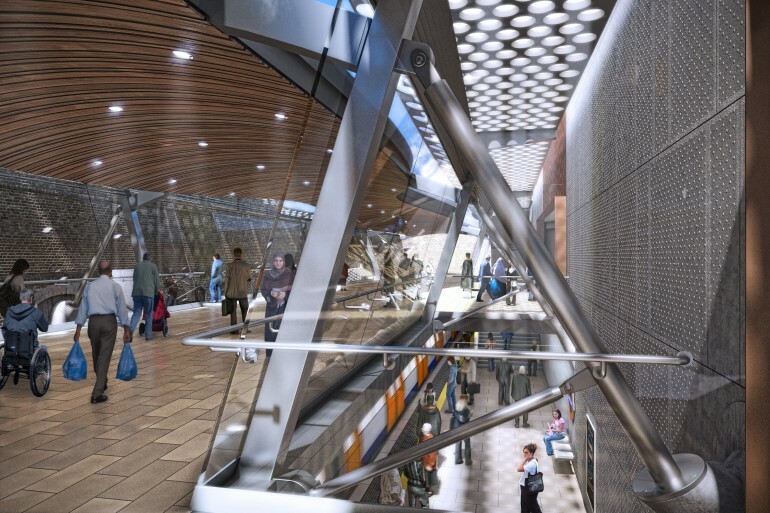 A new ticket hall, concourse, platforms and interchanges fit for the 21st century will enhance passenger experience whilst complimenting existing historical features and retaining the Victorian frontage on Whitechapel Road.